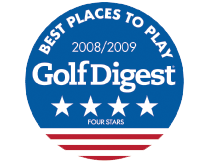 Great value, bring a lot of balls course is fairly tight, lost a lot of balls, staff was nice. Awesome course. Great condition for how early in the year it was. Beautiful vistas. Very challenging but not overwhelming. Customer service was great. I would easily compare it to courses I have played up north. Will definitely be playing here again. A beautiful relaxing course. You will feel like you are on vacation, in the wild, seeing all the lovely nature and animals. Playing the course is just the icing on the cake. 5 Stars A very pleasant surprise!! This was the first time playing and I played all 27 holes. Reminded me of "up north" golf without the long drive. Beautiful layout on awesome land. Conditions were very good considering our lack of rain lately. Only one hole I could do without and that was Jungle course #6. Other than that, I will definitely be back. Love this golf course! Feels and looks like you are up north!